I bought this juice to try, I've never bought a pink Lemonade one before, I can honestly say that I was very impressed with this. It's very sweet , you can taste the citrus and lemons perfectly, although I can taste quite a lot of a creamy tart , it's a delightful vape. I'm looking forward to purchasing more. I highly recommend this juice. 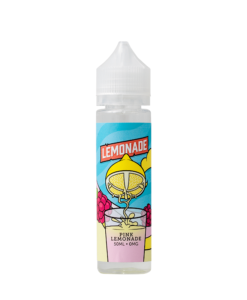 Great tasting pink lemonade! Really enjoy this vape! !